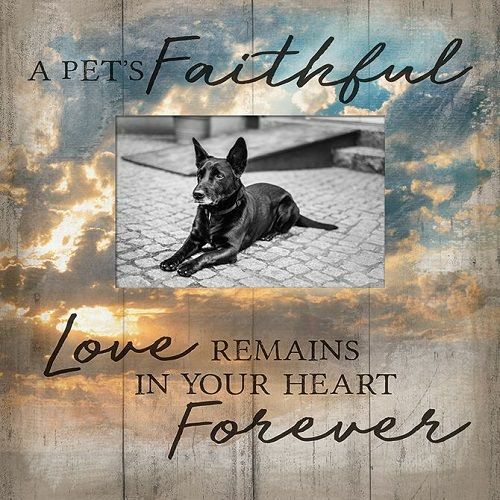 Offer a lasting keepsake with the pet memorial frame, Faithful Love. The frame has a keyhole hanger for easy display in a special area of remembrance. Frame is highlighted with a tender memorial sentiment. Frame measures 9.5" x 9.5" x 1.5"
Ideal sympathy gift for a man, woman, or family grieving the loss of a pet.